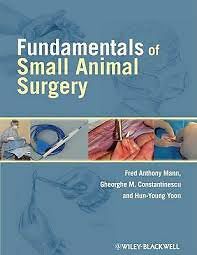 Fundamentals of Small Animal Surgery offers a thorough introduction to the surgical principles essential to good veterinary practice. With many high-quality pencil drawings and clinical photographs to complement the detailed descriptions, the book is a useful resource for building basic surgery skills. Fundamentals of Small Animal Surgery is designed to provide a grounding in the foundations of veterinary surgical practice and an understanding of the practical application of surgical techniques. Covering topics ranging from assessment and surgical pack preparation to aseptic technique and postoperative pain management, the book is a valuable reference for surgical procedure training in veterinary or veterinary technician schools, and serves as a refresher for veterinarians and technicians in practice.